Do you know the movies purchased or rental from iTunes are DRM protected? In other words, you cannot watch iTunes M4V movies on other non-Apple devices that are not authorized, including Microsoft Surface Pro series. 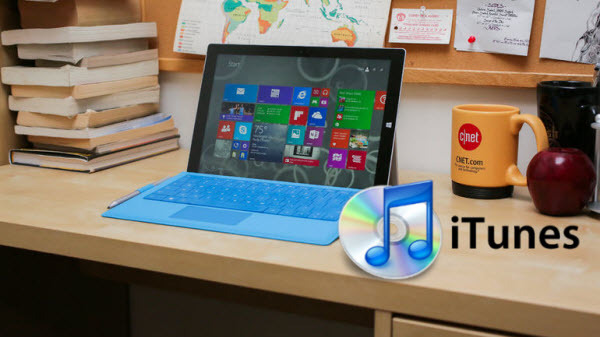 What can make it possible to play iTunes DRM protected M4V movies on Microsoft Surface Pro 3, Surface Pro 2 and Pro? 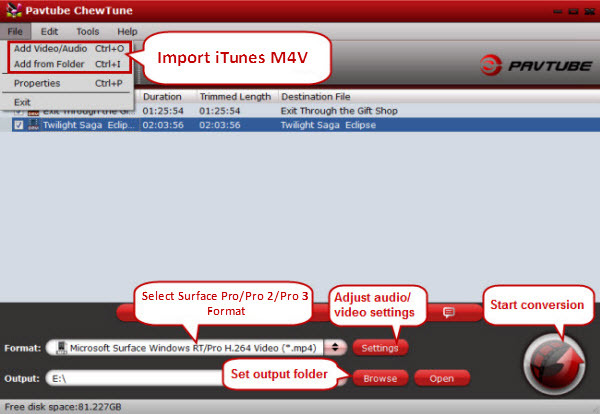 The best solution is to remove DRM protection of iTunes M4V movies and convert them to Surface Pro compatible format. 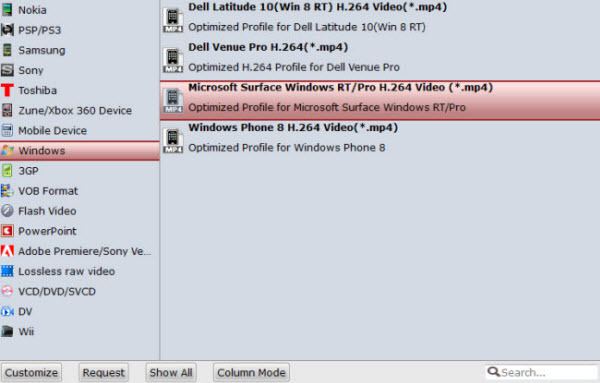 Here is what I did before in order to watch iTunes M4V files on Surface Pro, and hope this guide could help you. Another reason I recommend Pavtube ChewTune is its abundant output profiles. Click format bar, and follow “Windows > Microsoft Surface Windows RT/Pro H.264 Video (*.mp4)” as output format for Surface Pro 3, Surface Pro 2 and Pro and there is no need for re-adjustment. If you would like to get better video and audio enjoyment, you are allowed adjust video and audio presets, like video codec, bitrate, resolution, frame rate, audio channels, under the profile settings. Hit on the “Convert” button on the right side of the program and the iTunes DRM removal process begins. Usually it takes exact the same time the movie lasts to complete the task so the output file owns almost the same video/audio quality as well. Also learn how rip Blu-ray, DVD, MKV and Vudu movies to your Surface Pro tablet. Copy files onto a USB flash drive or memory card on your other computer. Insert the USB flash drive or memory card into Surface. Tap or click the notification that appears in the upper-right corner of the screen. Tap or click Open folder to view files. File Explorer opens. Select the files or folders you want to add to Surface, tap or click Home, and then tap or click Copy to. Select a location. For example, choose Documents if the flash drive or memory card contains documents.